When a race car champion returns home, he finds to his great dismay that his kid brother has also taken up the sport. 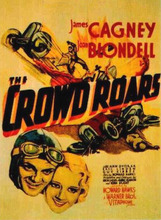 Cliché-laden and highly formulaic, though one of the earliest auto-racing films of the talkie era. Some good vintage racing sequences. Remade as Indianapolis Speedway (1939), even to the point of using some of the same footage.